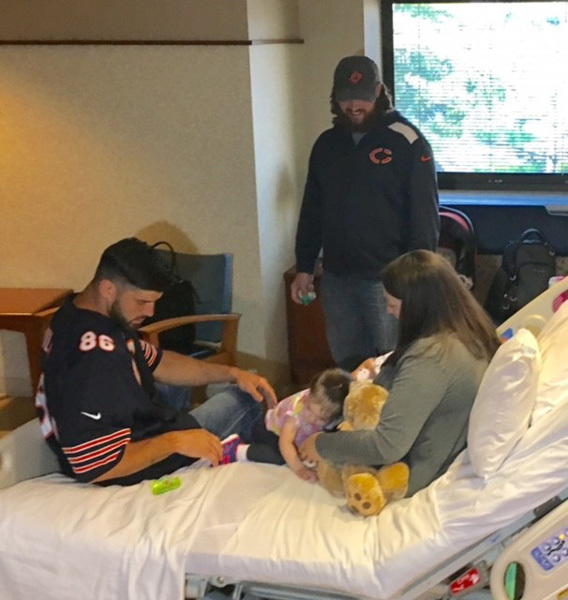 Chicago Bears tight end Zach Miller paid a surprise visit to the Advocate Condell Medical Center in Libertyville Tuesday morning. 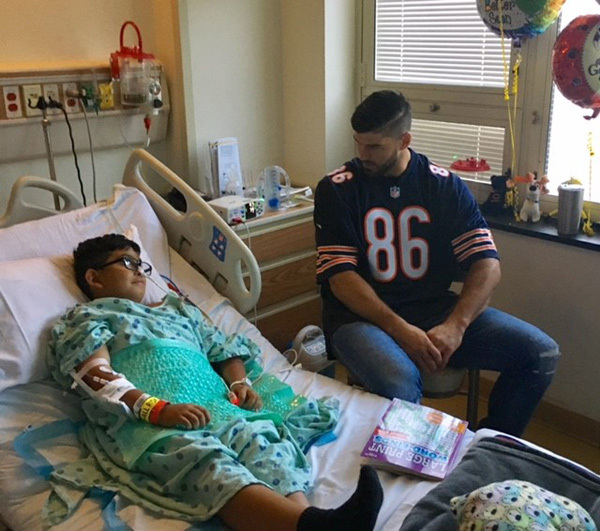 LIBERTYVILLE, Ill. (WLS) -- Chicago Bears tight end Zach Miller paid a surprise visit to the Advocate Condell Medical Center in Libertyville Tuesday morning. 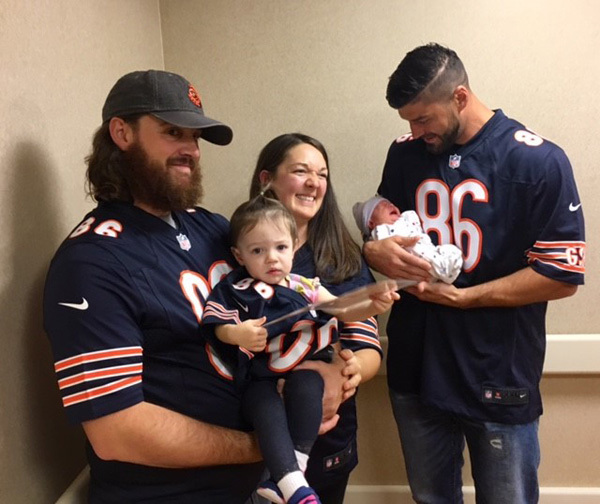 He visited with the Mihalka family of Antioch, who just welcomed their baby boy Cole on September 10, a day before the Bears season opening game. 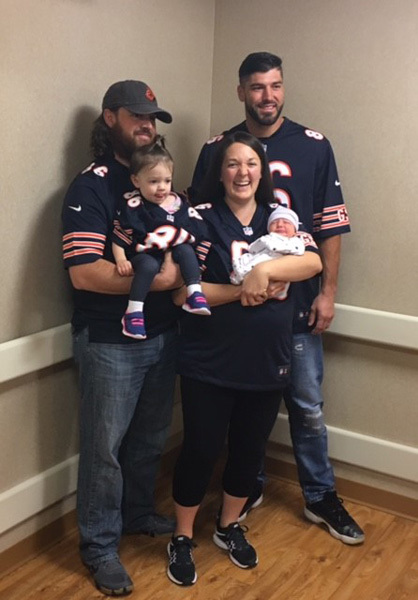 In addition, he surprised them with game tickets and memorabilia. 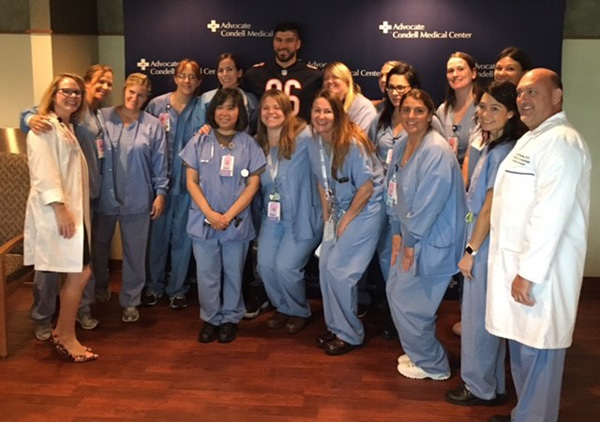 Miller also took photos with Condell patients, families, volunteers and moved through the hospital to spend time with pediatric patients and their parents.